Kevyn Orr billed more than $1 million in fees when he represented Chrysler during the 2009 bankruptcy, according to court records. DETROIT (Reuters) -- Kevyn Orr, a lawyer who earned $1 million in fees for helping manage the Chrysler bankruptcy in 2009, is Michigan Gov. Rick Snyder's top pick to be Detroit's financial emergency manager, a source with direct knowledge of the choice told Reuters today. Orr, a partner with Washington-based law firm Jones Day, has experience in business restructuring and has served as deputy director in the executive office of the U.S. Trustee program, a government watchdog in the bankruptcy process. Orr billed more than $1 million in fees when he represented Chrysler during the 2009 bankruptcy, according to court records. Orr could not be reached for comment. At a hearing in Lansing, Mich., the state capital, earlier today, the Detroit City Council tried to convince the state not to take over the city's finances. But Snyder is widely expected to go ahead and appoint an emergency manager as early as this week. Detroit has suffered from a sharp population decline that has left the city with falling tax revenue, rising crime and a costly and outdated government structure. According to a report commissioned by Snyder, the city of 700,000 has "operational dysfunction" in its government, a crushing debt of $14 billion and a current fiscal year deficit of $100 million. An emergency financial manager in Detroit will have authority over the city's fiscal affairs, including contracts, asset sales, layoffs and consolidations. The manager can also recommend the city file for bankruptcy protection. That move, if allowed by the state, would mark the biggest Chapter 9 municipal bankruptcy in the United States. 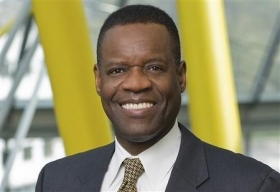 The Detroit Free Press earlier Tuesday reported that Orr was the top candidate for the job. Detroit Mayor Dave Bing has picked Jones Day as the restructuring counsel for the city. The newspaper cited several sources with knowledge of the search process who requested anonymity. A source with direct knowledge of the decision confirmed to Reuters that Orr was the top choice.